The Mariandre continues to attract repeat visits from families year after year mainly due to the excellent location of the hotel within this family-friendly resort, combined with the warmth of hospitality and service of our staff. Traditionally styled and furnished, the hotel is warm and inviting, and ideally placed for skiing families, with easy slope access, convenient childcare, a choice of family bedrooms and suites, and of course our full Chalet Hotel meals and service. The Mariandre is a perfect choice for skiers who hate to walk far, being only 50m from the nearest lift and piste.The Telecentre lift, known locally as the 'Yoghurt Pots', links the centre of the resort up to the Rond Point des Pistes, from where the whole area opens up, with a choice of five different lifts to whisk you on up the mountain. Alternatively, you can start your day on the piste just 50m from home, and ski down from there to the Eclose lift to take you up into the main heart of the area. At the end of the day, you can ski back on piste to the same point, and if conditions permit, just carry on the last 50m across the Tourist Board's terrace to the Mariandre. The spacious lounge/bar area, with its big picture windows, comfy sofas, flatscreen TV (some English channels) and reception desk, form the focal point of the Mariandre. Downstairs, the dining-room is in two parts, and is furnished in simple French bistro-style. A touch on the snug side if everyone arrives at once for breakfast, it is more than comfortable for adult dinners. The bedrooms and family suites provide a choice of accommodation styles for different family sizes, and all benefit from en suite facilities, flatscreen TV and DVD, with many having a balcony too. The Nursery and separate sleep-room are off the main lounge, whilst the spacious and attractive Snow Club room, where our Cocoa Club is also held, is conveniently situated within the hotel Typical bedroom style - almost all are large enough to take a cot building. Entrance, dining-room & separate kitchen, boot-room, stairs to first floor. Ski-room with external access. Reception, spacious lounge/bar with picture windows, lift, sun-terrace, Nursery, external access on same level as Telecentre ski-lift and piste (approx. 30m away). Suite 209, Sleeps 5-6, Double bedroom and twin room (single bed and single fold-down bunk) with small kitchenette and separate lounge with double sofa-bed (suitable for two children under 12) sharing bath and wc. (The suite is under eaves). All Rooms/Suites will take a cot except 5, 107 & 207. Supplements per person per night: Rooms with bath/wc/balcony £3.50; Suite 108 with bath/wc £2.50; Suites 109, 110 & 111 bath/shower/wc £3.50; Suite 102 bath/shower/wc/balcony £4.50 Suite 209 bath/wc £4.50. NB: The 'pairs' of rooms shown are either adjacent to or opposite each other, but are not interconnecting. Reduced under-occupancy supplement of £139 applies when a family of 3 share 2 twin rooms. On the one staff night off per week, a breakfast is served as a buffet in our Chalet Hotels. In all our Chalet Hotels, we also prepare a homemade soup and a savoury treat to accompany the sweet ones. High Tea at 5:30pm is served as a 2 course evening meal to all children up to 7 years old (and to 8-12 year olds if preferred). Parents are asked to accompany their children under 3, whilst 3-12 year olds are supervised by our childcare team. Adult dinner at 7:30pm begins with canapés with a prosecco apéritif, followed by a choice of appetiser, main course and either dessert or local cheese, accompanied by a choice of red, white and rose wine, and culminating with tea or coffee. Adults (and any children aged 8 and over joining the adults) are asked to choose their starter and main course at breakfast time, and there's always a vegetarian daily option too. Please note that children will be eating the adult menu choices if they choose to eat at 7.30pm. On the staff night(s) off you and your family have the opportunity to eat out in one of the local restaurants. Our staff will be happy to help with recommendations and bookings if you wish. If you would prefer, you can always order in a takeaway pizza, and have a relaxing evening in. We always prepare a vegetarian main course in our Chalet Hotels and can cater for vegetarians staying in both our Xtra and regular chalets, as well as any other specific dietary requirements in all our properties, if we are advised in advance. Special diets can be accommodated at a cost of £35 per person per week. Please notify us of your dietary needs at the time of booking. On the two staff nights off per week, a breakfast is served as a buffet in our Chalet Hotels. We also prepare a homemade soup and a savoury treat to accompany the sweet ones. 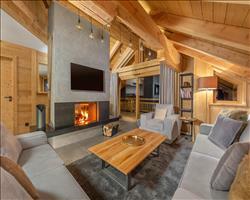 We update Chalet Hotel Mariandre's details often, but facilities do change. e.g. some extras listed by the supplier as "free" or included might only be for the first time you use them, or for one time per party, then charged for further use. If any specific feature is essential to your holiday, make sure you ask us to confirm the details of it before you book your holiday. Buckets of off piste and an incredible terrain park make this a freeriding and freestyling paradise - combine this with 250km of pisted runs and you’ve got something for everyone. The town offers a colourful variety of après ski from ice caves to nightclubs and activities for all ages that will put the cherry on top of any ski holiday. Alpe d'Huez lift pass price last reported as €225 (adult 6 day). 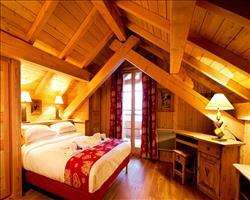 Ask for a quote when booking Chalet Hotel Mariandre. Alpe d'Huez has NSEW facing slopes. 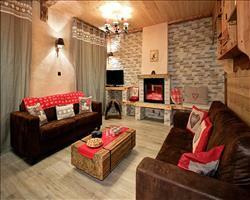 Chalet Rebeque Alpe d'Huez France, Gatwick to Grenoble 4th January. 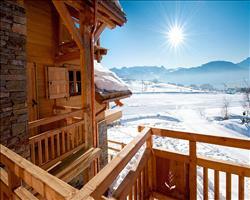 Chalet Les Eterlous Alpe d'Huez France, Gatwick to Grenoble 4th January. 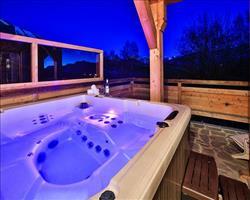 Chalet Chateau Alpe d'Huez France, Gatwick to Grenoble 19th April. 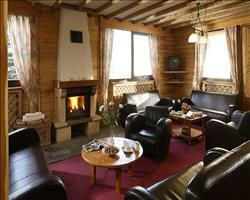 Chalet Naomi Alpe d'Huez France, Gatwick to Grenoble 11th January. 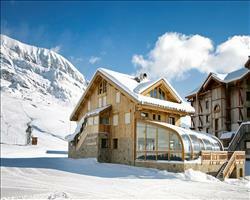 Chalet Sarenne Alpe d'Huez France, Gatwick to Grenoble 11th January. Le Village, Chale... Alpe d'Huez France, Gatwick to Grenoble 19th April. Eden West Alpe d'Huez France, Gatwick to Grenoble 19th April. 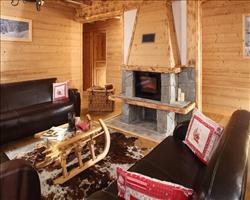 Chalet Martine Alpe d'Huez France, Gatwick to Grenoble 11th January. 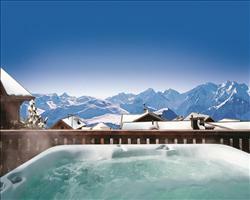 Chalet Le Lac Bla... Alpe d'Huez France, Gatwick to Grenoble 14th December. 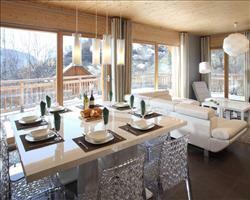 Chalet Sarenne Alpe d'Huez France, Gatwick to Chambéry 11th April. We had a fantastic week. The chalet hotel is all very nice, clean and tidy and the staff were really good. The only downside was the amount of kids there, but we only booked it 48 hours before going! The accommodation was very central, close to the lifts and really good. Meals were a bit of a mix, with mains like duck and venison – always really tasty and plenty to eat. Our bedroom was nice, the only thing I would say is that it would have been nice to have some kind of furniture on our balcony as we had some really hot sunny days! I visited this property in 2015 and it has a great location in the Old Town of Alpe d'Huez. You only have to turn left from the chalet hotel, go up a small flight of stairs and walk 50m to the bucket lift. This quirky lift has four linked baskets that you stand up in and it takes you directly to the ski school meeting points and a large selection of lifts/the main gondolas. The chalet hotel rooms have recently been refurbished and there's a selection of interconnecting suites or adjacent rooms to choose from. The interconnecting rooms are very popular, so you need to book early for these! The in house crèche and snowclub are great, welcoming and decorated in bright colours with tonnes of toys to entertain. The lounge and bar are comfortable and the food we sampled was excellent, with a variety of options. The chalet hotel has a lovely feel to it also - it's large enough to offer a sociable atmosphere but it doesn't feel too overrun or hectic. A first go at this type of holiday - and what a fantastic experience. The kids loved it and we cannot fault the service and staff. Ticked off a bucket list item before we go back to New Zealand. Thank you! Excellent. A fantastic team who together made our holiday experience one to cherish and remember. Amazing holiday, fantastic childcare. Brilliant food and amazing hotel team. Would recommend to all friends. Absolutely fabulous experience. The staff simply can't do enough to ensure that we had an enjoyable holiday. Thank you we will be back! We had a lovely holiday. The staff and food have been outstanding, both childcare and hotel staff. The children have had a fabulous holiday. The company have a great formula and the staff really make it happen. High quality food from the kitchen was great. Staff engagement with guests was excellent - a very well run ship.